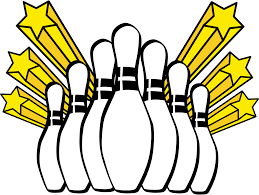 GHS Bowling Teams Shine at Conference! The Greenbrier Girls’ Bowling team won the 5A East Conference Tournament this past Friday in Jonesboro. This is the 6th conference championship in a row for the Lady Panthers!!! The Greenbrier boys also did well placing 4th in conference. Both teams will compete in the state tournament in Cabot on Wednesday.